Inflatable boat - £1 @ Poundland ! Cheap holiday solutions - this boat only £1. 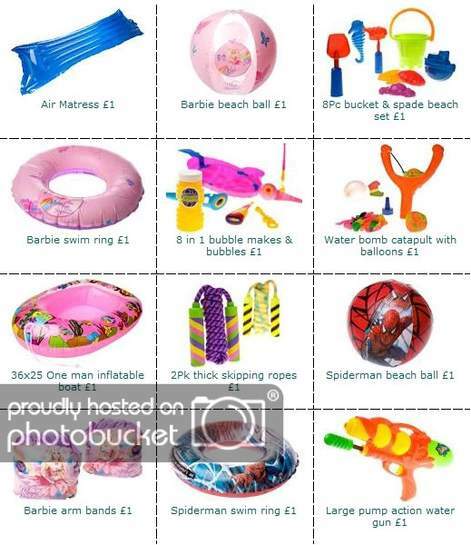 Also other beach items includingair matress etc & Barbie ring. You pay a lot more at the beach side. These are great to use a paddling pool for a toddler. Saves water too! They are also useful for sending you loved ones out to sea on. I brought a load for when global warming kicks in, these are going to be the new Mercedes.